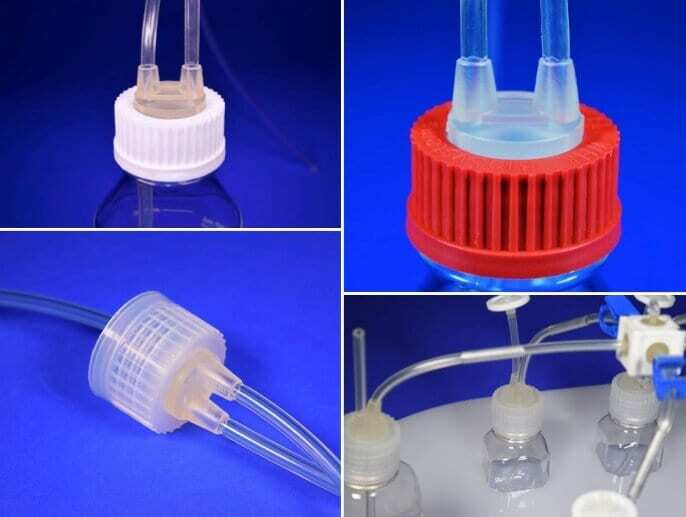 Designed for efficient aseptic transfer, our caps are available in the three most common sizes of 38mm, 45mm, and 53mm. Several standard cap colors are also available including white, red or clear to provide color-coded identification. If a completed assembly is what you need then we also offer a wide variety of accessories such as clamps, filters, plugs and caps. Non-sterilized caps are generally available for next business day shipment for orders up to 500 pcs.